It sounds like this car is complete, but partially disassembled and not running. It needs a complete restoration. 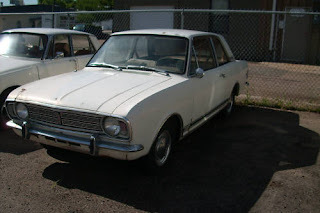 I doubt this car is very exciting to drive, but being a 1500cc LHD Cortina it deserves to be restored just because of its rarity. 1969 Cadillac Coupe - As I've written before, I most likely will never buy an old Caddy, they're just not my type of car. 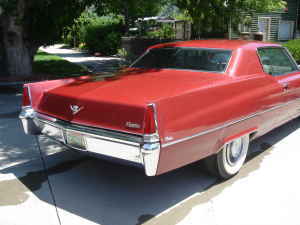 Still, Cadillacs from the late 1950s through the late 1960s have a "presence" like few other cars have. This is a 1969 Coupe. It's red. It's huge. How could you not take notice of this car when it drove down the road? According to the seller, this car has 37,000 miles on it and has been in storage for the past 25 years. The seller says it needs a tune up and some gaskets. I suspect you'll find that it needs a little more once you start driving it. 25 years is a long time for a car to be in storage. The asking price of $5900.00 is a little on the high side, but red was not a common Cadillac color (I'm assuming it hasn't been repainted a non-original color) and the mileage is ridiculously low for a 41 year old car. There can't be too many cars like this around. If the engine and transmission are sound and the interior is as nice as the body appears to be, this car might be worth the money. Located in Rapid City, SD, click here to see the Craigslist ad. 1987 BMW L7 - I've heard some people say that the "L" stands for "luxury" and others say it stands for "leather". Both could be right. 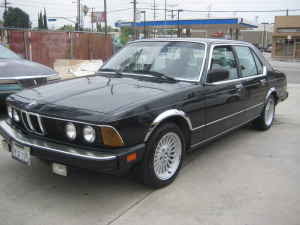 This was the most luxurious BMW built in 1987 and virtually every surface of the interior is covered in leather. This is a very uncommon BMW. 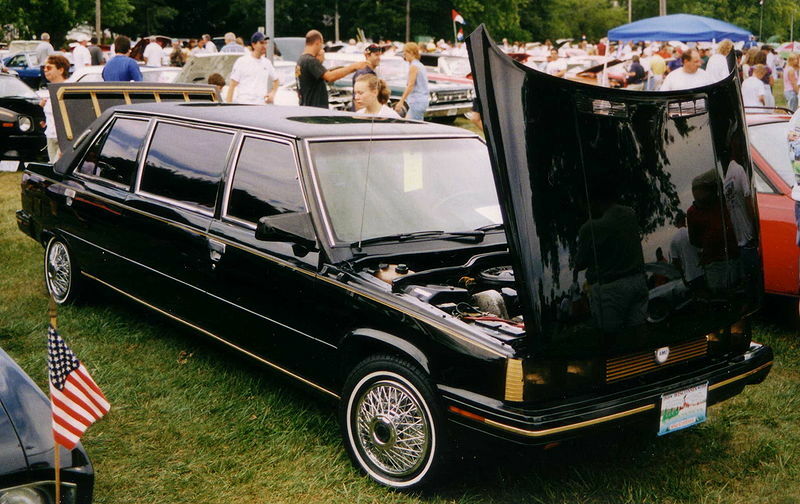 Built for just 2 years (1986 & 1987), it was exclusive to the US market. It was powered by the 182HP 3430cc I6. All L7s came with an automatic transmission. The L7 was the first BMW to feature an airbag as standard equipment. The Craigslist ad gives very few details, but the car appears to be in very nice condition. The seller ("Father Anthony") leaves a phone number you can call for more details. Located in Ventura, CA, click here to see the Craigslist ad. 1985 Renault Alliance Convertible - You could buy this car today, drive it all summer and sell it in October for what you paid for it. Sounds like a good plan, right? The downside to that plan is that you'll be driving an Alliance all summer. If you've been reading this blog for awhile you've probably figured out that I'm a big fan of French cars. The Alliance is based on the Renault 9, a good, but unexciting, Renault. Somehow, any of the goodness in the 9 was lost by the time Renault started building them in North America. The Alliance was built to a price and feels like it. The interior is cheap and the car is buzzy. But, like all Renaults, the ride is superb and it handles very well. The Alliance came with two engines. A 1.4 liter 4 and a 1.7 liter 4. Cars with the 1.4 are excruciatingly slow. The 1.7 was an upgrade, but no rocket. The asking price for this car is $995.00. It has power windows, power locks and a power top. It appears to be in very nice condition. What other convertible can you find in this condition, with these features, for that kind of money? Located in Oshkosh, WI, click here to see the Craigslist ad. Speaking of Renault Alliances... I had to post the picture below because... Well, just because. It always seems as if the best (take that for what it's worth) Alliances and Encores are in Wisconsin. Probably because they were built there. Nostalgia keeps them alive? 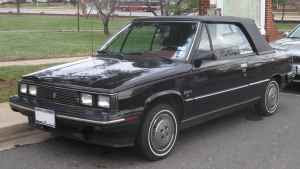 Of note also, the pic of this convertible shown is the same one on the Wiki page for the Alliance/Encore. I'll hold out for a nice LeCar with canvas roof. Man are they RARE. They make Citroens and Renault Caravelles seem common.